Party and Event Rental Company. We Bring the Theater to You ! WHAT CAN YOU RENT FROM US..? 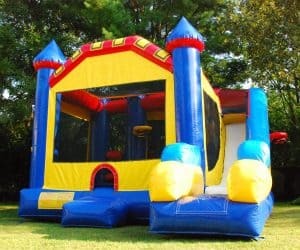 We offer the largest variety of inflatable rentals on Long Island. Look around our website to view our huge selection of Brand NEW Themed Bounce Houses, Interactive Inflatables, Obstacle Courses, Water Slides, and Inflatable Games. If you are looking for Inflatable rentals on Long Island you have reached the right place. Click through our website to view over 200 different items in our inventory. We specialize in all different types of parties ranging from backyard and block parties, camps and school events, all the way to large scale corporate events. Let us help make your next event a success…! Whether you are planning a large or small backyard event we’ve got you covered. We offer Tents, Tables, Chairs, as well as linens in all different colors. Our Frame Tents provide the perfect area for seating your guests. 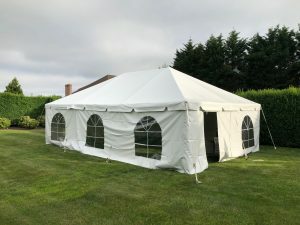 This fully adjustable tent comes in 10ft, 20ft, and 30ft configurations, and can even be used on multi-level areas where your property may have a slight slope or grade. The framework in the ceiling gives you more options for hanging and supporting decorations and lighting. There are no strings, ropes, or poles, inside our tents, just open unobstructed space on the inside. Sidewalls can be installed to keep the rain out, or be heated or air-conditioned. A Frame Tent is a versatile tent option for almost any type of event. We have one of the largest selections of Carnival Game rentals on Long island. If you are having a carnival themed party we have what you need. We are constantly updating our inventory to bring our customers the latest and greatest. We offer Carnival Games that No One Else has and that you can only get from our company, making us stand out from our competition. From Carnival Game Booths to Concessions and dunk tank rentals we have it all. Check out all of the carnival game rentals we have for your next event. Click below to learn more. 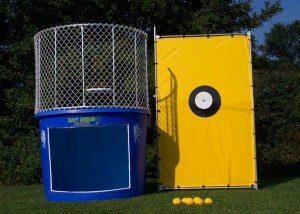 Dunk tank rentals are a great way to cool off and have fun in the heat of the summer on Long island. Dunk Tanks are great to rent for Schools, Churches, Camps, Corporate Events or Fundraisers. We recently purchased two Brand New Dunk Tanks for our rental fleet. We’re tired of hearing about other companies showing up with broken old dunk tanks that don’t work and leak. They show a picture on their website of a new dunk tank, but when it gets to your house its old and gross. Well….that won’t happen here! Our Brand New Dunk Tanks will always work, never leak, and look and smell like new. Before you rent a Dunk Tank make sure that you ask to see a picture of it. Our 9 Hole Portable Mini Golf Course comes with everything you need for hours of golfing fun. Each rental comes with enough putters, balls, score cards, and pencils for all of your guests. Each of our course holes feature a different variety of obstacles, challenging the most experienced golfer. A spinning windmill, 360 loop, up and back MAZE, and our 4ft Tall Montauk Lighthouse are just a few of the obstacles you’ll play. Each hole is approximately 8ft L x 2ft W and made of solid wood. Book for your next event today..! 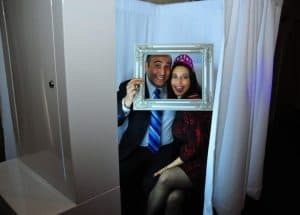 People love Photo Booths, and they’re a great add-on to any type of event. They allow you guests to create a memory from your event that they get to take home with them. Our Photo Booths allows you to fully customize your photo experience using all new touch screen technology. Our booths are offered in one of two ways. The first as a stand alone unit with a full curtain enclosure good for 3 – 4 people at a time. The second, to be used with a Backdrop or custom Step & Repeat for larger events where a group shot of 5 or more is needed. A prop table with silly hats, sunglasses, frames, and toys are provided for your guests to get creative with their pictures, making each photo from your event unique. All of this with digital prints in under 15 seconds….! We are proud to offer the best inflatable Rentals on Long Island. 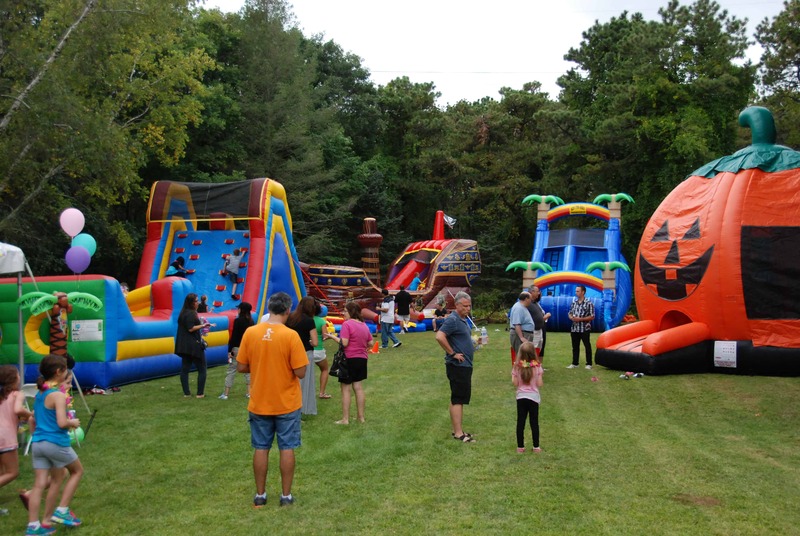 We offer the largest variety of inflatables on Long Island. Look around our website to view our huge selection of Brand NEW Themed Bounce Houses, Interactive Inflatables, Water Slides, Carnival Games, Inflatable Games, and Concessions. If you are looking for Inflatable party rentals you have reached the right place. Click through our website to view over 200 different items in our inventory. We specialize in all different types of parties ranging from backyard and block parties, camps and school events, all the way to large scale corporate events. Let us help make your next event a success…! 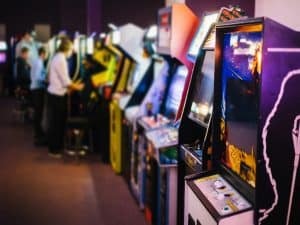 A video arcade game machine rental from Big Bounce Theory may just be the answer to all your event planning and entertainment needs. With 30 years in arcade game business, we have collected an extensive variety of games. From the all time classics such as Ms. Pac Man, Defender, Donkey Kong, to the latest video games Giant Space Invaders Frenzy, World’s largest Pac Man and Pac Man Battle Royale and Speed of Light, we have what will make your event special for years to come. We offer the best selection of Bounce House Rentals on Long Island….! Other companies attach old art panels to a bouncer and call it a ” Themed Unit “. Don’t be fooled…..! Always ask before you book to make sure you are getting the REAL thing. All of our Bounce Houses are NEW and Cleaned after every use. To view our selection, Click the link to see all of the bounce house rentals we offer! We have the largest selection of arcade game rentals on Long Island. If you are looking to add some Arcade Game rentals, or Pinball Machine Rentals to your next Bar/Bat Mitzvah or Corporate Event then give us a Call…! We offer Virtual Pinball Machines, Arcade Games, Claw Machines, Arcade Multi Games, Skee-Ball, Arcade Basketball, Ping Pong Tables, Air Hockey Tables, Foosball, and much much more. Call today for more info on our full line of Arcade Game Machine Rentals on Long Island…! We’ve recently added a full line of Arcade Games to our rental line. If you are looking for the latest Arcade Games, Arcade Multi-Games, and Pinball Machine Rentals in Long Island and Westchester County NY than look no further than TheBigBounceTheory. Our NEW line of Arcade Games are a great add-on to any Bar Bat Mitzvah, Corporate, or other special event. We offer Virtual Pinball Machines, Arcade Games, Claw Machines, Arcade Multi Games, Skee-Ball, Arcade Basketball, Ping Pong Tables, Air Hockey Tables, Foosball, and much much more. Call today for more info on our full line of Arcade Game Machine Rentals on Long Island…! Click Here to See all of our Water Slides! 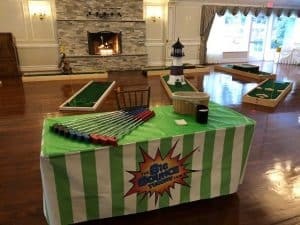 Our 9 Hole Portable Mini Golf course is a great addition for any type of party, or camp, school, or corporate event…..! This Mini Golf Course Rental includes (9) different greens each with its own different obstacles to play around. Our portable Mini Golf includes a Windmill, Lighthouse, and many other fun obstacles. Each Mini Golf rental comes with putters, golf balls, and enough score cards and pencils for all of your guests. AS SEEN ON TV…..FOX & FRIENDS, ABC LIVE With Kelly & Ryan, CBS, & Good Morning America! Rent Our Portable Mini Golf Today! Our Portable Mini Golf course is a great addition for any type of party, or camp, school, or corporate event…..! This 9 hole Mini Golf course includes (9) different greens each with its own different obstacles to play around. Our portable Mini Golf includes a Windmill, Lighthouse, and many other fun obstacles. Each portable Mini Golf rental comes with putters, golf balls, and enough score cards and pencils for all of your guests. AS SEEN ON TV…..FOX & FRIENDS, ABC LIVE With Kelly & Ryan, CBS, & Good Morning America………! Rent A Concession Machine Today! 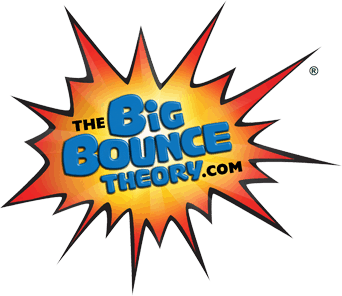 The Big Bounce Theory is a full service party and event rental company based on Long island NY. 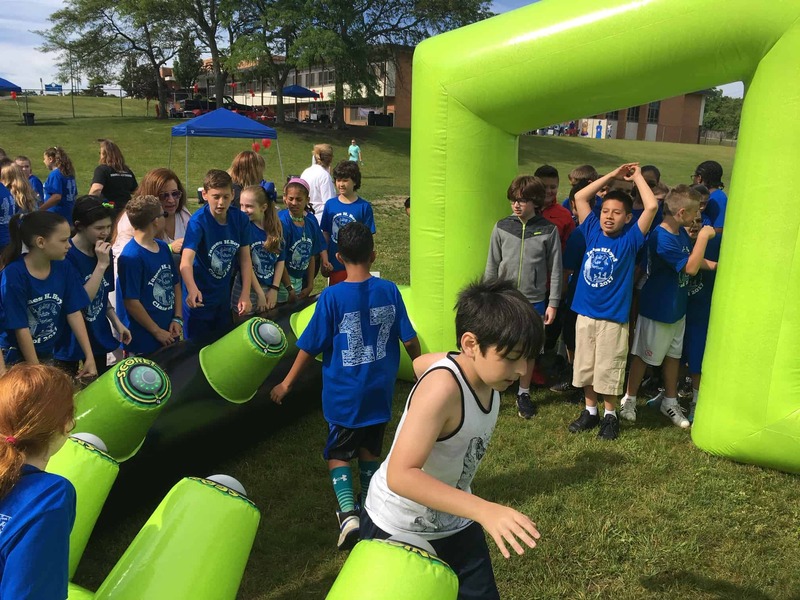 We offer Bounce House rentals, Inflatable Water Slide rentals, Dunk Tank Rentals, and Tents, Tables, and Chair Rental for all kind of events on Long Island. We have one of the largest selections of Inflatable Rentals, Bounce House Rentals, and Carnival Games Rentals, and party rental equipment in NY. We serve Nassau and Suffolk counties, including every town from Manhattan to Montauk. We are family owned and operated, and use only the best equipment available. Our goal is to make sure that your next birthday party, block party, camp, school, or corporate event is a success! Give our office a call to see how we can help you plan your next event. Look around our website to view our huge selection of Inflatables including Bounce Houses, Combo Bouncers, Obstacle Courses, Inflatable Games, Portable mini Golf Course, Dunk Tanks, and Water Slides. 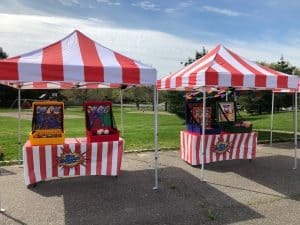 We offer a large variety of unique Carnival games, Arcade Games, Carnival Booths and Tents, DJ’s, Balloon Twisters, Face Painters, Concessions, and much much more. We’re always updating our inventory to offer more to our customers. This is what makes our company stand out from the rest. Don’t forget to Like us on Facebook, and check out our Instagram to get the latest news and see what we’re up to…..! Contact Us Today To Book For Your Party.